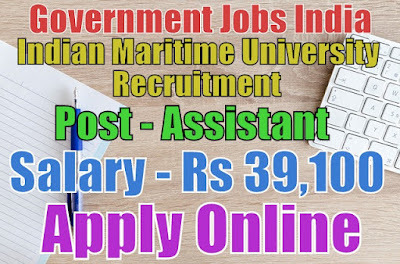 Indian Maritime University has published recruitment notification 2017 for 31 assistant and private secretary posts. All legible and interested candidates have to apply on or before (08-03-2017). 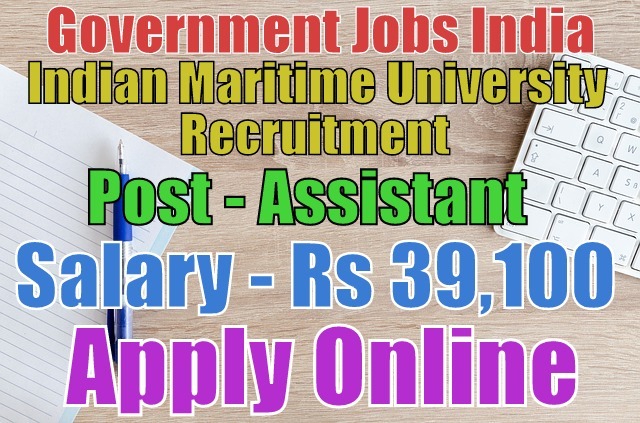 Further more information about salary details, educational qualifications, application fee and more information about given posts is mentioned in detailed below. Number of vacancies - 31. For indian maritime recruitment 2017, candidate age should be 18 years. To know more about age details as post wise, click on detailed advertisement. To apply for the mentioned posts, candidate should must have done 10th,12th, bachelor's degree,UG/PG degree or its equivalent/ relevant / higher qualification from a recognized board or university. Last Date - A candidate should must apply for the posts on or before (08-03-2017).